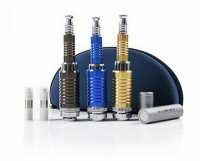 However, overtime e-cigarette found its niche of consumers in the younger/tobacco naïve population. Our study is amongst the first studies that describes those who use e-cigarette without any history of combustible-cigarette smoking. Response: We estimated that in 2016, 2 million US without history of combustible cigarettes smoking were e-cigarettes users. So among never combustible smokers, e-cigarette using population is sizeable. We showed that the prevalence of e-cigarette use among different states differed dramatically. For example in Michigan two out of 100 never smokers were e-cigarette user. Sole e-cigarette users (e-cigarette users without history of combustible cigarette smoking) had a high prevalence of high risk health behaviors. Response: While e-cigarettes were initially marketed as smoking cessation device, e-cigarettes now have users that never smoked cigarettes. Response: Future research must address why e-cigarettes appeal to tobacco naïve population and how public health authorities can plan to target away e-cigarettes from this population. This entry was posted in Author Interviews, Johns Hopkins, Smoking, Tobacco, Tobacco Research and tagged addiction, American_Heart, AnnalsofIM, cigarettes, E Cigarettes, HopkinsMedicine, medical research, smoking, tobacco, vaping by Marie Benz MD FAAD. Bookmark the permalink.